Monsoons in India are always muddy and wet and soggy and damp. You know what else they are? The perfect weather for all kinds of fritters, whether it's hot onion bhajiya as the rain is crashing down and it's dark as night at noon, or delicate potato fritters when the rain is just drizzling and you want something to nibble on with your afternoon cup of tea. It isn't the monsoons here, but a nice cool shower would definitely be welcome in these soaring temps. And I don't have besan (chickpea flour) on hand to make a typical Indian pakora or bhajiya batter, but I do have panko crumbs. And so I say - good enough! Let's get a' fritterin' and just imagine up a crashing thunderstorm! Look at that color! These brilliant little violet eggplants are so tender and creamy - unlike their larger deep purple siblings, they have no bitterness to speak off, and very few seeds too! 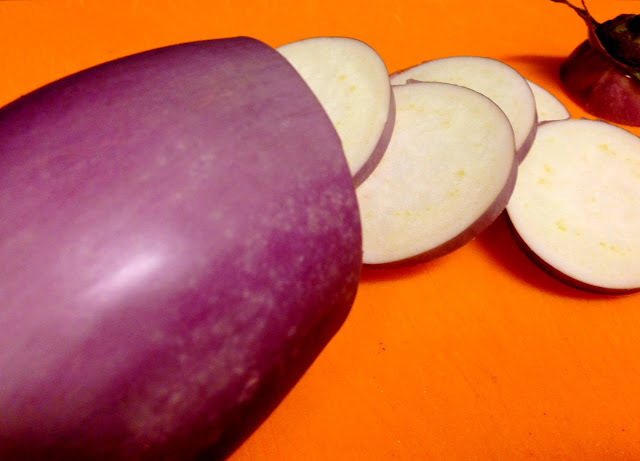 Slice the eggplant into discs. 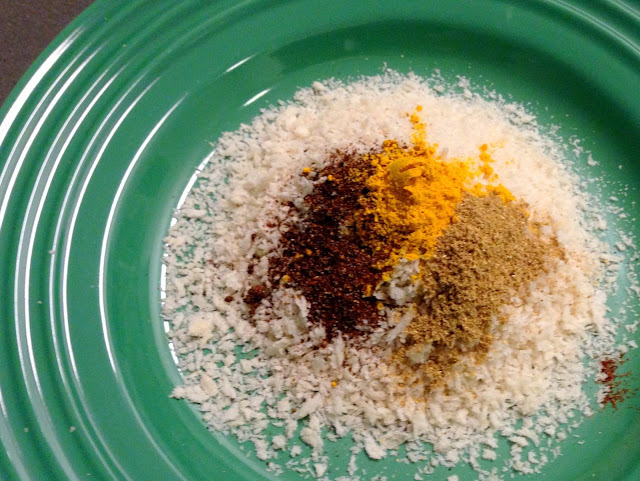 In a dish, mix together flour, turmeric, chili powder, coriander-cumin powder, and salt. 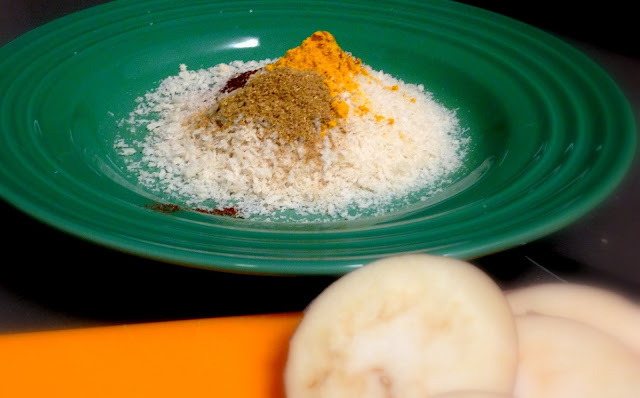 Whisk the egg in a bowl so that the yolk and whites are combined. Pour into a separate dish. Pour just enough oil to cover the bottom of the pan, then heat on high until the oil is almost smoking. Lower the heat to medium-high. 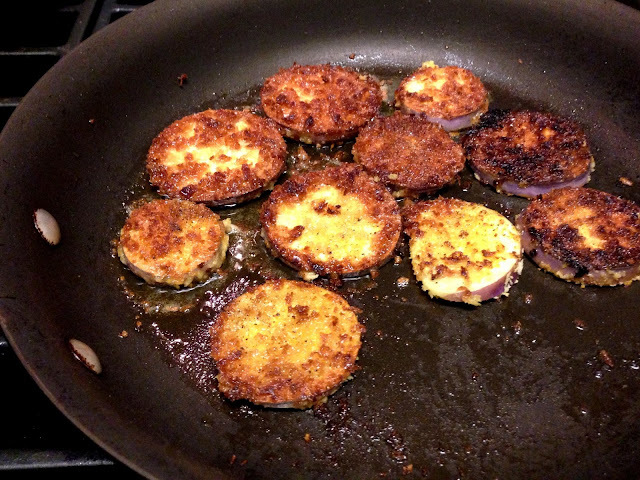 Dredge the eggplant slices in the egg (cover both sides) and then the panko mixture. Then slide them into the oil. After a couple of minutes (when the bottom side is nice and brown), flip to brown the other side. Both sides should be nice and deep brown. 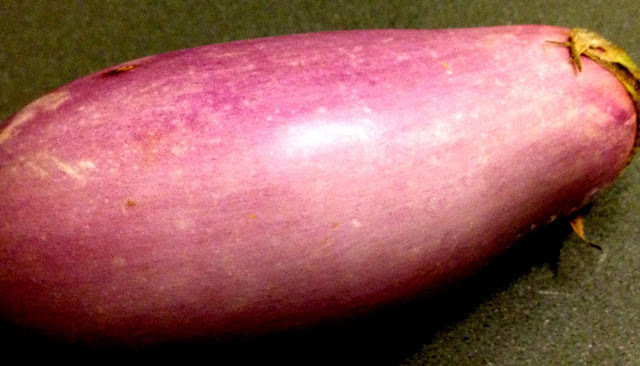 The neon eggplant is so tender and creamy that it only takes a few minutes on each side. With a different variety of eggplant, you may need to lower the heat to medium and cook for longer on each side. Remove and drain on a paper towel. 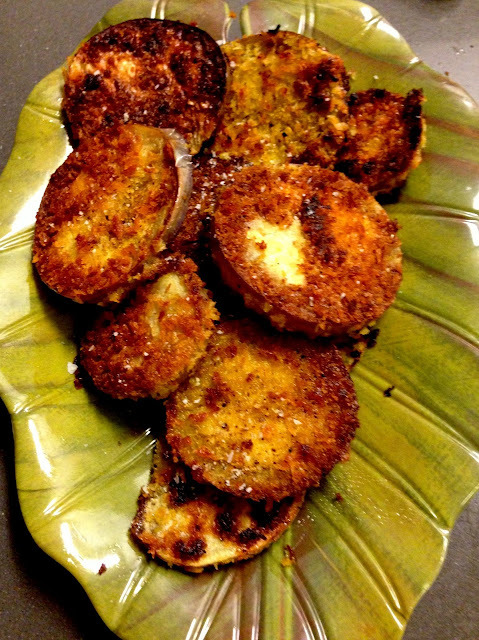 Sprinkle a little sea salt on top and serve with mint/coriander chutney or just a simple dash of lemon juice!